13 Excuses that will stop you living your dreams…. Excuses. We all have them. And eventually we all regret them, especially when those excuses kept us from chasing — and possibly achieving — our dreams. I’ve always been keen to work with companies where they pay me commissions for the lifetime of customers that I bring them. Whilst it takes longer to build up the residual income, it’s certainly worth it because it gives a much more solid and reliable income. I have seen a lot of people crash and burn over the last 15 years that I’ve been self employed because they've chased the quick income. But the quicker it comes, the faster it leaves. Only yesterday I was talking with someone who is a professional SEO consultant.For those who don’t know what SEO is, it’s “Search Engine Optimisation”. Basically you get a site listed at the top of Google search results. Great if you can do it and the traffic can be fantastic (I know because I had several sites at the top of the search results back in the years 2002-2005). However, from a business plan, it really is like building a house on quick sand. All Google need to do is change their algorithm again (which they WILL do at some point) and BOOM, all your traffic vanishes overnight and so do your customers. 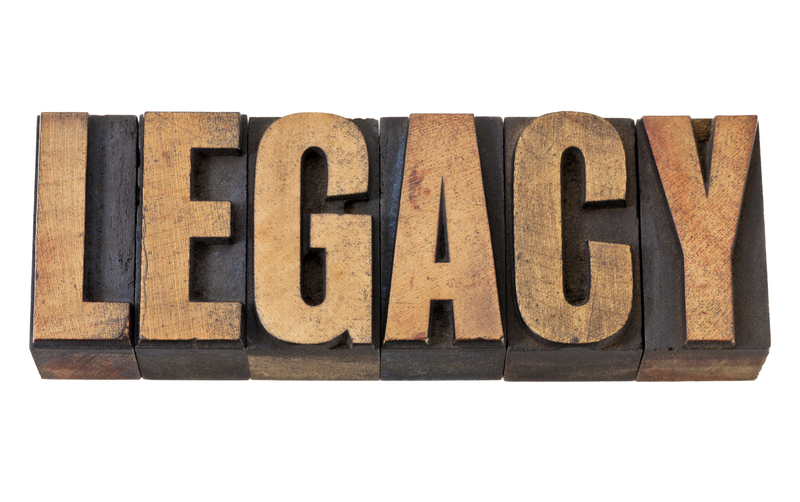 That’s no way to build a legacy! I’ve just listened to a podcast from one of the companies I am currently working with and I thought it was so brilliant that I’d share it with you. If you’re interested in joining a business where the Executives understand that you want an income that lasts a lifetime not just 6 months, then get in touch with me. I hope you enjoy this little article and as always, feel free to comment and share this post. I saw this video today and it brought a big smile to my face and so I thought I would post it on my blog. Smiles are well worth sharing, so I hope you enjoy this video. What would you do? Take the million dollars or be true to yourself? When you watch the video below you may recognise this guy. If you ask any teenager they will almost certainly recognise him. He has become a phenomenon on the internet. There is a lot of commentary about this video. "It’s a fake to get more likes on Vine where he is followed by millions"
"He makes enough from his new fame from television appearances, etc"
What would YOU do…..seriously! When you finish reading this post think about it for a few minutes. The “freedom lifestyle” is NOT about laying around all your life on one long vacation. It’s about living a life where you adopt a different mindset, enjoy life more, do things you normally would not do, be more adventurous…..the things people typically do on vacation. I’ve always been a pretty conventional guy accept when it comes to work. Even though I am fast approaching 50, I have only had 9 years of my life where I’ve worked for other people. The rest of my life I have worked for myself or been in education. When I look at a lot of people over 30 who follow convention they don’t look that happy or satisfied to me. No offence, but they just appear comfortably numb. I imagine most people (if and when) they get to 99 wish they had made more of their life. They wish they didn't just live by other people's convention and "rules". Maybe you disagree and that’s ok and I’m not here to try to change your mind, but I would like to at least challenge you to consider it. So, let me have your comments - how does this video make you feel? Have a great day - but make sure you live it according to your inner self, don't just work like a clockwork robot! “Microsoft Tech Support” also known as the “Windows R” Scam and how to avoid it…. Have you ever received a call from someone with a heavy Indian accent from Microsoft saying your computer had errors or viruses? The purpose of these calls is to get an easy $299 (or whatever amount they choose) by scaring you into thinking there’s something really wrong with your computer and that they can fix it for you. If you’ve woken up today feeling bluer than you usually do on a Monday morning, you probably won’t be alone. Today – Monday, January 19 – is the gloomiest, unhappiest day of this new year, say experts.